It has been a busy year for Memphis. For the fiscal year 2011-2012, over twenty productions have used Memphis as a film location or base while shooting in nearby regions. Among these are TLC’s What Not to Wear, the Food Network’s Restaurant: Impossible, Fox’s America’s Most Wanted and Comedy Central’s The Colbert Report. The list of feature films made in Memphis is also impressive. It includes blockbuster hits such as Silence of the Lambs, Cast Away,The Client, Walk The Line, 21 Grams, Great Balls of Fire, and The Rainmaker. With all the movies setting-up camp in its backyard, Memphis still somehow manages to attract even more television productions to film in the city. As Memphis film commissioner Linn Sitleraptly shared: “Even in years with major feature films, TV has always been our meat and potatoes.” Why is Memphis so popular with the television and movie industry? Let’s do a brief walk-through. Memphis’s geography and diverse personalities give the city a unique blend of urban and rural landscapes. Being on the border of three states, Memphis has all the amenities of a big city, yet it’s also a skip and a hop away from the rolling hills and farmland of Tennessee, the flatlands of Arkansas, and the Delta of Mississippi. Within the Memphis area, filmmakers can shoot scenes in cotton fields, period town squares built around old-fashioned county courthouses, 14,000-acre of forest land (Meeman-Shelby Forest State Park), swampy wildlife preserve with lilypads and turtles, or a happening neighborhood lined with blues and jazzy nightclubs. 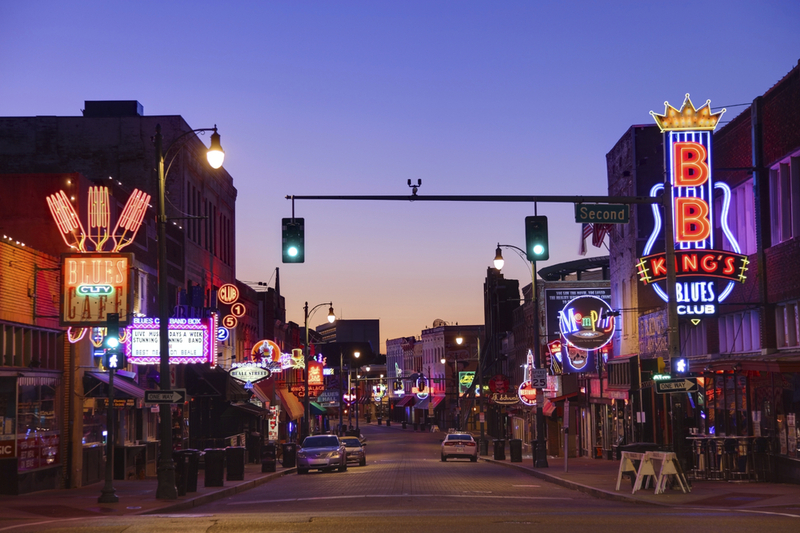 For example, a walk down Beale Street, the heart of entertainment in Memphis, puts us right in the midst of blues country. Beale Street was also one of the film locations for The Firm. Remember the scene where Tom Cruise’s character Mitch McDeere was back-flipping down the sidewalk with a young boy? It was filmed on location on Beale Street. In addition to gloriously portraying itself, Downtown Memphis can easily stand in for the streets of Chicago, East St. Louis, or even Columbus, Ohio. Memphis’s picturesque pocket neighborhoods can also transform to become Charleston, New Orleans or Cape Cod. Since Tennessee is a right-to-work state, there has been very few labor conflicts in Memphis. The city is also proud of its experienced crew members, many have substantial production credits under their belt. Productions can find crew members in almost every industry areas needed for filming: art department, accounting, casting, catering, choreography, editing, hair/make-up, set decoration, special effects, etc. One of the talented cinematographers based in Memphis is Michael Allen, an award-winning, creative photographer and filmmaker with over 15 years of production experience. PHOTO CREDITS: Above two photos of cinematographer Michael Allen at work are from Michael Allen’s website. Allen has collaborated with many production companies and independent filmmakers. His workhas been featured in many publications worldwide. Memphis has always been revered for its rich theatre culture. It’s one of the reasons why productions filmed locally and outside the region like to head to Memphis for their casting calls. The city’s many community theatres, professional theatre companies, and talented local actors (many are African-Americans) all contribute significantly to Memphis’s diverse talent pool. For example, at any given point in time, Hollywood can find fresh new talents if it drops by The Orpheum, one of Memphis’s most venerable theatres. The theatre was originally built in 1890 on the corner of Main and Beale Streets. Known as “the most beautiful theater outside of New York,” the Orpheum Theatre showcased mainly Vaudeville acts until it was burned to the ground after a performance in 1923. In 1928, the new Orpheum (twice as large and much more opulent) was built on the original site of its predecessor. PHOTO CREDIT: Above photo of The Orpheum Theatre is from here. Its flamboyant yet tragic history earns the Orpheum quite a few ghost stories. If you Google the theatre, you’ll find a host of haunted tales surrounding this historic Memphis landmark. 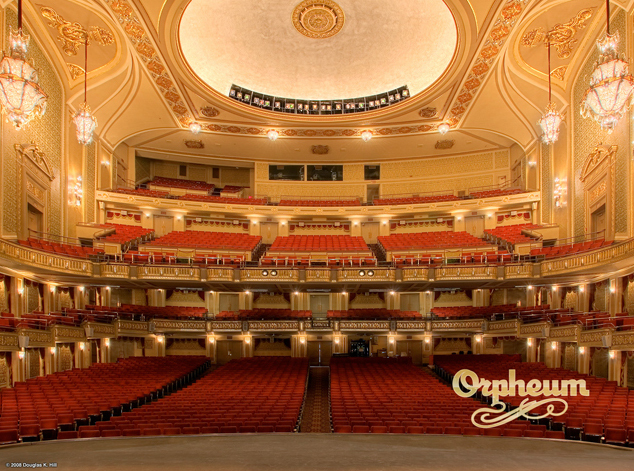 Today, The Orpheum Theatre plays an important role in cultivating and maintaining the city’s culture. It has brought large-scale Broadway shows to Memphis, such as Billy Elliott, Jersey Boys, Phantom of the Opera, Cats, and Les Miserables, to name a few. The theatre has also featured many performances from popular entertainers like Jerry Seinfeld, Dorothy Hamill, Tony Bennet, the Goo Goo Dolls, etc. In addition to the theatres, colleges and universities in the area - such as the University of Memphis and Rhodes College - also have outstanding theatre departments. 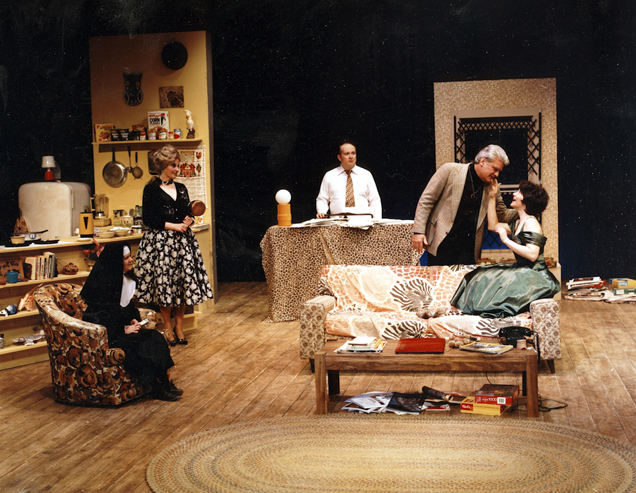 PHOTO CREDIT: Above photo of the production “House of Blue Leaves” performed by the Theatre Department at Rhodes College is from here. These Memphis venues mentioned above (and many more) provide the film industry with a fresh pool of much-needed talents. It’s no wonder Memphis continues to be a hot spot for casting calls. To accommodate the city’s filming activities, many major hotels in Memphis are experienced and accommodating with the special needs of production companies. In addition, the long-standing relationships between these hotels and the Memphis & Shelby County Film and Television Commission staff often help secure the best room rates for productions filming locally. In order to get these special rates, productions need to have their reservations made directly through the Commission’s office. If an extended stay is required, the Commission staff can also help customize accommodations to match the individual requirements of each project. Of the special accommodations available to filmmakers, The Peabody Hotel (with the Peabody Ducks residing on the hotel’s rooftop) is probably the most well-known and most famous landmark of all. PHOTO CREDIT: Above photo of The Peabody Hotel is from the Hotel’s website. Not only has The Peabody hosted and provided accommodations for many productions, it has also been the filming location for a few feature films such as The Firm, Great Balls of Fire, and The Rainmaker. If you’ve seen The Firm, you may remember the welcome party scene filmed on the rooftop of the Peabody Hotel. PHOTO CREDIT: Above is a screenshot from The Firm. This scene was filmed on the rooftop of The Peabody Hotel. 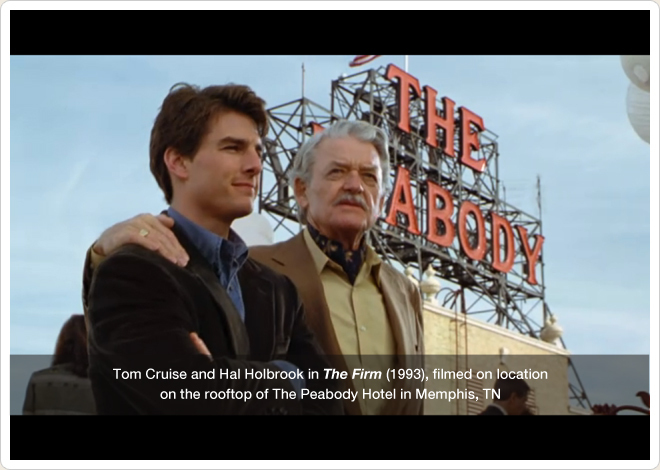 Coincidentally, The Peabody Hotel is also listed in our Reel-Scout’s Location Library, in case you want to see more photos of this famous film location. In addition to being the location of FedEx’s headquarters, Memphis is also a hub for the former Northwest Airlines now operated as a part of Delta Airlines. 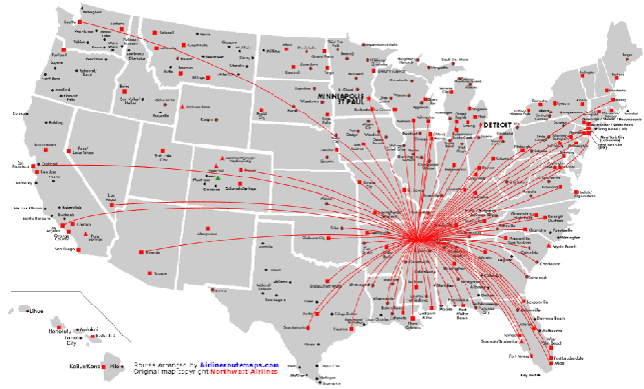 This means Memphis International Airport offers many daily, non-stop flights between Memphis and Los Angeles and Memphis and New York City/Newark. This makes commuting to work much easier and more manageable for filmmakers and their cast and crew. PHOTO CREDIT: The above image is from here. There’s a reason Cast Away was partly filmed in Memphis. Tom Hanks’s character Chuck Noland works at FedEx and lives in Memphis where the real-life FedEx’s corporate headquarters is based. PHOTO CREDIT: Above photo of Memphis International Airport is from here. So ... the major perk of working in Memphis? All productions filming in the city get special treatments when it comes to sending overnight packages. Whenever overnight deliveries are on the agenda, production staff has more time to prepare and drop-off shipment. FedEx opens as late as 11:30PM on weeknights at the FedEx’s Memphis International Airport location. These few extra hours make a huge difference in meeting production deadlines. Memphis’s music scenes are as vibrant as its theater culture. The city’s musicians and their music are a huge addition to locally-filmed productions. If you’re patient enough to sit through the rolling credits of movies, you’ll most likely find Memphis performers and songwriters listed under the music section of the credits. The list of famous Memphis musicians are long and legendary. It includes Otis Redding, Elvis Presley, Isaac Hayes, David Porter, Charlie Rich, Al Green, and B. B. King (among many others). The next time you’re in Memphis, you may be lucky enough to bump into Al Green singing in his Memphis church, The Full Gospel Tabernacle. PHOTO CREDIT: Above photo of Sun Studio is from here. With music being front and center in Memphis, it’s no surprise that the city is also home to many recording studios. 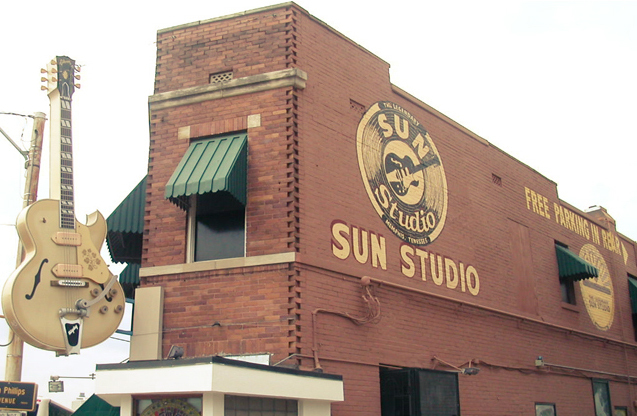 One of the most well-known is Sun Studio where many music legends (such as Elvis Presley, Johnny Cash, Carl Perkins, Jerry Lee Lewis, and Roy Orbison) have recorded their albums. Sun Studio, affectionately known as “the birth place of Rock ‘n Roll,” is also the setting and/or film location for Walk the Line, Great Balls of Fire, Mystery Train and Elvis. It’s no wonder they say: “If music were a religion, then Memphis would be Jerusalem and Sun Studio its most sacred shrine.” And it’s also no wonder many film productions flock to Memphis to find the perfect music to accompany their projects. Memphis’s public facilities such as its city and county schools, the Shelby County Courthouse(where Silence of the Lambs was filmed), the University of Memphis, and the 14,000+ acre Meeman-Shelby Forest State Park, are available for filming, at no cost to productions. Filmmakers just need to contact the Film Commission so that the Commission staff can help coordinate the use of the facilities for them. PHOTO CREDIT: Above photo of the Shelby County Courthouse is from here. PHOTO CREDIT: Above photo of University of Memphis is from here. Originally, Louisiana was to be the film location for Walk The Line. In the end, the producers decided on filming in the River City over Louisiana. In doing so, they gave up the $3 million (the movie’s total budget was $28 million) they would have saved had they used Louisiana’s filming incentives. 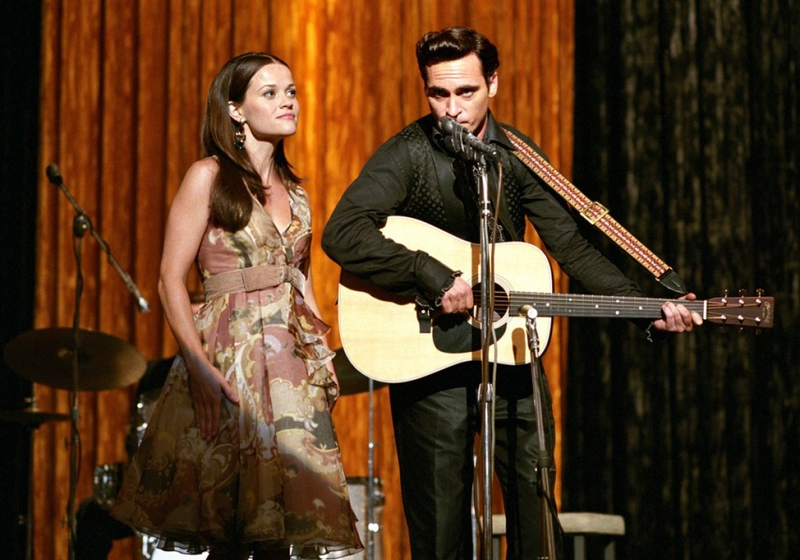 Production still of Walk The Line via Google. Tennessee earned the shoot through the dedication and tireless work of Memphis-Shelby County Film Commissioner Linn Sitler and Tennessee Film Commissioner David Bennett. Together, they created a soft incentive package which included free use of government facilities, Shelby County and Memphis city hotel and motel tax refunds for the film crew, and the use of free office and warehouse space. Not only that, the dynamic duo was able to persuade the Government of Tennessee to allow the production the use of a state plane to scout in-state locations. Walk The Line won Golden Globes for Best Picture and Best Actors for both leads, Joachin Phoenix and Reese Witherspoon, and the Oscar for Witherspoon. Two of the filming locations forWalk The Line was the Orpheum Theatre and Sun Studio (both featured above). The mission of the Memphis-Shelby County Film & Television Commission is to ensure that every facet of all locally-filmed productions go smoothly. The film commission’s role in each project was invaluable as it helps productions find the perfect filming locations, coordinates street closings, arranges for police security, and recruits crew members, etc. The most recent feature film made in Memphis is The Guilt Trip, a road-trip comedy starring Barbra Streisand and Seth Rogen, scheduled for release later this month. Production still of The Guilt Trip via Google. For more information on filming in Memphis, including the area’s production guides and film locations (powered by Reel-Scout), visit the film commission’s website.